Oran's Leah Cauble signs with Union University. Pictured sitting from left to right: father and Oran girls basketball assistant coach Dustin Cauble, Leah Cauble, and mother Rachel Cauble. Pictured standing from left to right: Oran girls basketball coach Ethan Evans, AAU coach Don Osborne. 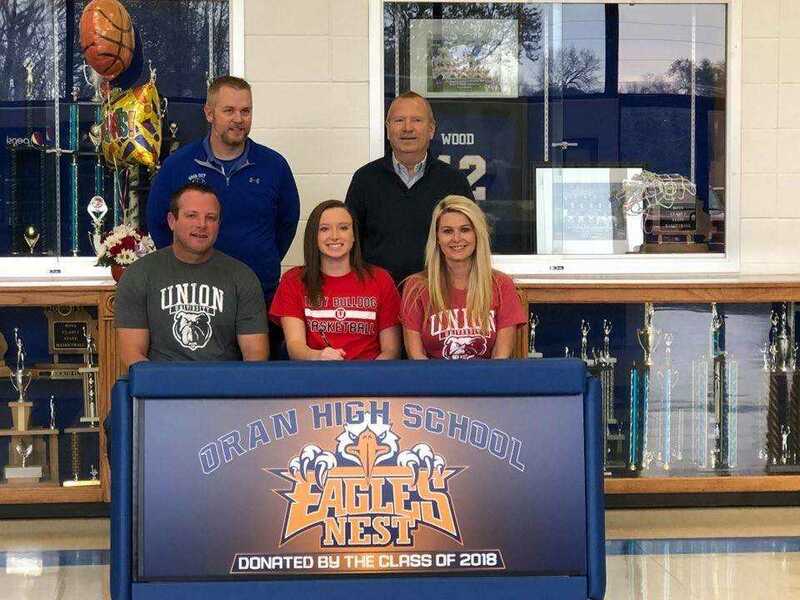 Oran senior girls basketball standout Leah Cauble signed with Union University on Wednesday at Oran High School. Cauble has started for the Eagles since she was a freshman and scored 2,729 points in three seasons. She has a chance to break the state scoring record, which is currently 3,724 career points. Cauble is also a three-time all-state selection and has been named Scott-Mississippi Conference Player of the Year for three consecutive seasons. She's also a three-time all-district honoree. Union University is located in Jackson, Tennessee, and is a Division II women's basketball. Coach Mark Campbell is in his 20th season leading the Bulldogs and has a record of 586-90 with five national titles. He's the fastest coach to 500 wins in NCAA women's basketball history. 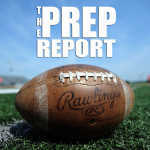 Last year, Union went 32-4 and advanced to the final four before losing to eventual national champions Central Missouri.